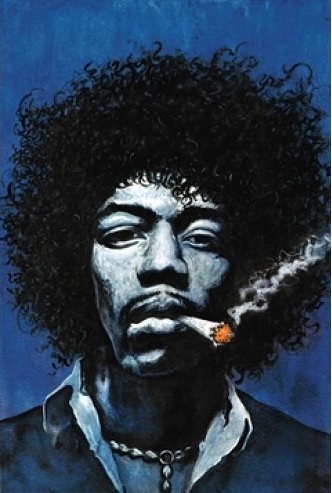 This Jimi Hendrix poster is of a painting of Jimi smoking a joint. It measures approximately 24" x 36". Officially licensed Jimi Hendrix merchandise.